Why Buy From Kia of Stamford? 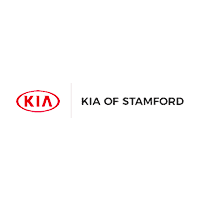 Kia of Stamford guarantees you’ll enjoy your experience with us. Our sales team is non-commissioned so we’ll put you in the car that’s right for you. At Kia of Stamford we have a healthy inventory to suit all your needs. You’ll find a great selection of new Kia models (including plenty of the favorites like the Kia Sorento, Sportage, Forte, and Optima), more than a handful of used and CPO, and bargain cars that are priced for budget shoppers or new drivers. Not only do we have great vehicles, but we also offer excellent protection plans, because we want you to get even more out of this investment. Ever been to a shop or restaurant and had what should have been a great experience tainted by a staff member that doesn’t understand customer service? We all have, and we know how it feels. That is why our friendly and knowledgeable staff is ready to go above and beyond to make your car buying (or servicing) experience laid back and fun. You’ll feel respected & at ease-guaranteed! Kia of Stamford has one of the largest inventories of new Kia vehicles in America. We are determined to turn our dealership into one of the biggest and best in the country. We offer low prices and offer the opportunity for internet specials and savings to drivers from coming from Norwalk, CT; White Plains, CT; and New Rochelle, CT to our Stamford, CT Kia dealership. We’re strongly focused on not only used and new vehicles, but also customer satisfaction and maintaining your new or used car. We are located at 263 Selleck St on the corner of West Ave., across from Outpost Pizza. Stop in and check out the popular, Hamster-friendly Kia Soul as well as the 2018 Kia Optima, Kia Forte, Kia Sorento and Kia Sportage. All our staff members at Kia of Stamford are Kia Product Certified and excited to help find the perfect car for you and service it for a long time after that! We strive to earn your business and want you to be a Kia of Stamford customer for life! How much does a new Kia in Stamford cost? There are a lot of factors that go into the final price of a car, including availability and popularity. Kia of Stamford in Stamford, CT is the perfect location to find used cars, minivans, trucks, SUVs and more pre-owned vehicles by various top automakers. We meticulously inspect each pre-owned vehicle to ensure top of the line quality before putting them for sale on our used car lot. At Kia of Stamford we want our car dealership to be known for having used cars that run like new. Instead of just hoping that drivers from Norwalk, CT; White Plains, CT; and New Rochelle, CT and beyond feel this way we work hard on every one of our used cars to make this a reality.